“We’re still not seeing the health access, the access to mental health care,” said Long, an Idaho mother of four and community college instructor who credited her essay with attracting the attention of a physician who correctly diagnosed and treated her then-13-year-old son for bipolar disorder. Like other mass shootings before and since, the tragedy prompted calls for tighter controls on guns and improved mental health treatment. Five years later, mental health care providers are waiting for promised boosts in funding, and many families are still battling insurance companies to cover their children’s services. While advocates say the quality of mental health care varies widely by state, they also see reason for optimism in a push for more early intervention programs and changing public attitudes about mental illness. Mental health experts point out the vast majority of people diagnosed with psychiatric disorders do not commit violent crimes, and no motive has ever been determined for the Dec. 14, 2012, massacre in which Lanza fatally shot his mother at home and then gunned down 20 children and six educators at the school in Newtown. A report by the Connecticut Child Advocate noted Lanza’s mother rejected recommendations that her son be medicated and get treatment for anxiety and other conditions, but it concluded his actions were not directly caused by his psychiatric problems. The tragedy also spurred some to focus more on the root causes of violence, including Jeremy Richman, a neuroscientist who started a nonprofit dedicated to brain health in his daughter’s name. Associated Press writer Robert Bumsted in New Haven, Connecticut, contributed to this report. 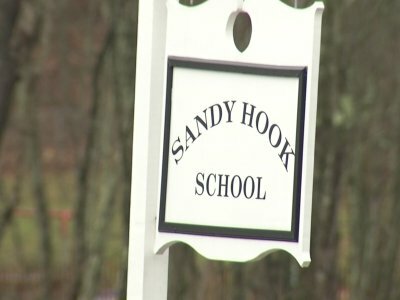 More coverage of the fifth anniversary of the Sandy Hook shooting: http://apnews.com/tag/Newtown .